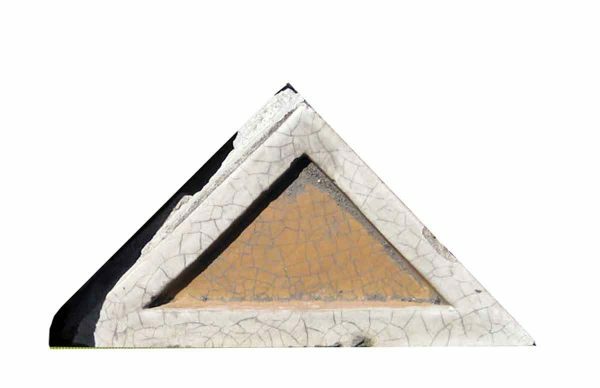 These interesting little triangles are from the facade of a 1920s building. The amber and white glaze has a nice crackle to it. These are very useful in designing your own collage. Great garden stones. Priced each.